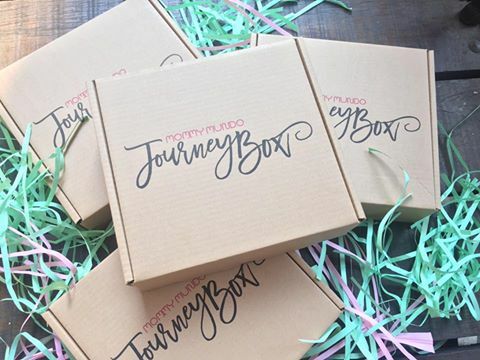 Want a Mommy Mundo Journey Box? 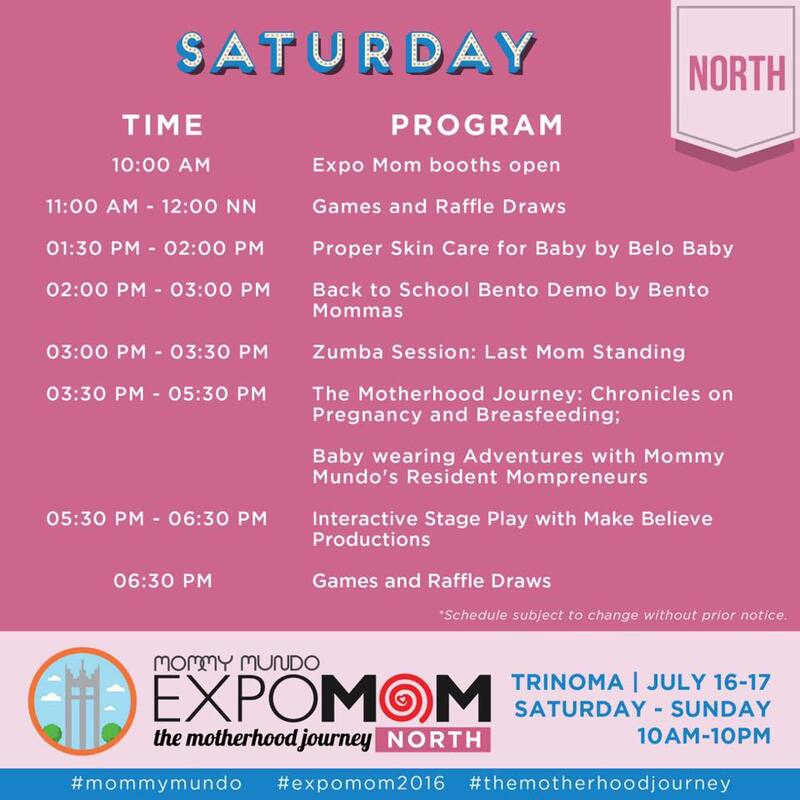 Order your Mommy Mundo Passport now and pick up your card and complimentary journey box this weekend at Expo Mom North in Trinoma Mall! 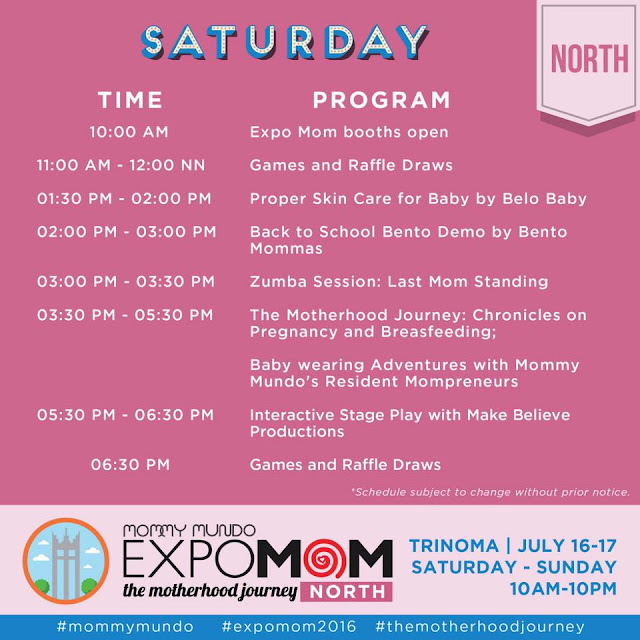 There are a lot of Exhibitors too at the event so list down all the things you think you need to buy for you little one. I'm sure this gonna be a fun day of learning for all the mothers out there. Mastering the art of culinary creativity is quite subjective. For some, it’s easy as pie. But for some starters, they find it difficult to create and even choose a theme. 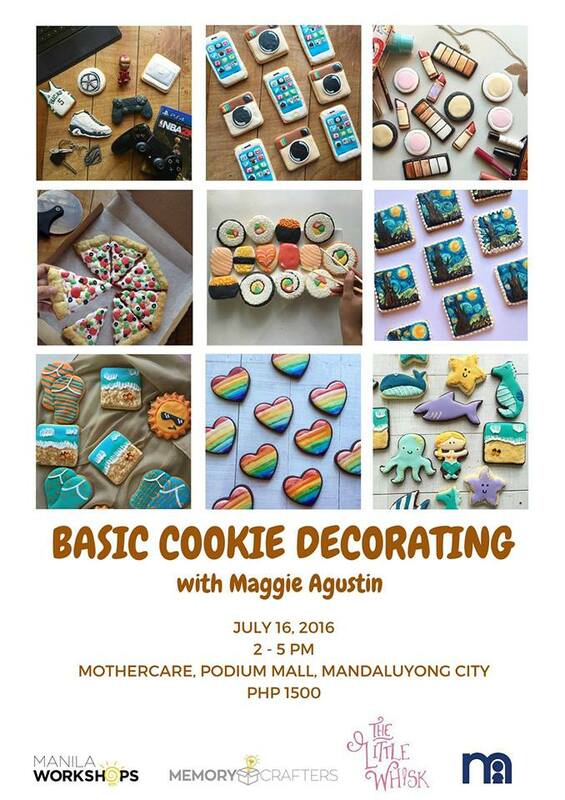 If you’re a first time baker who has just recently put up a business, pastry chef, or a hobbyist, this workshop is for you! Maggie of The Little Whisk PH will teach the basics of cookie decorating, how to intricately design your desired themes, tips and techniques in icing consistency and more! Ever wondered how the Paper Flowers are beautifully made? 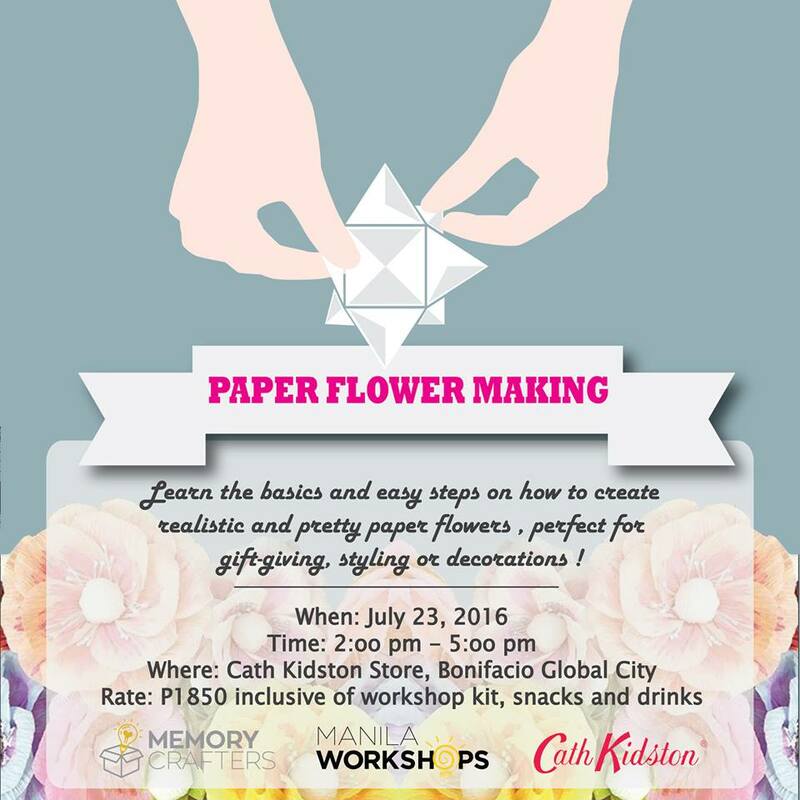 Here's your chance to learn how to create your own Paper Flower! 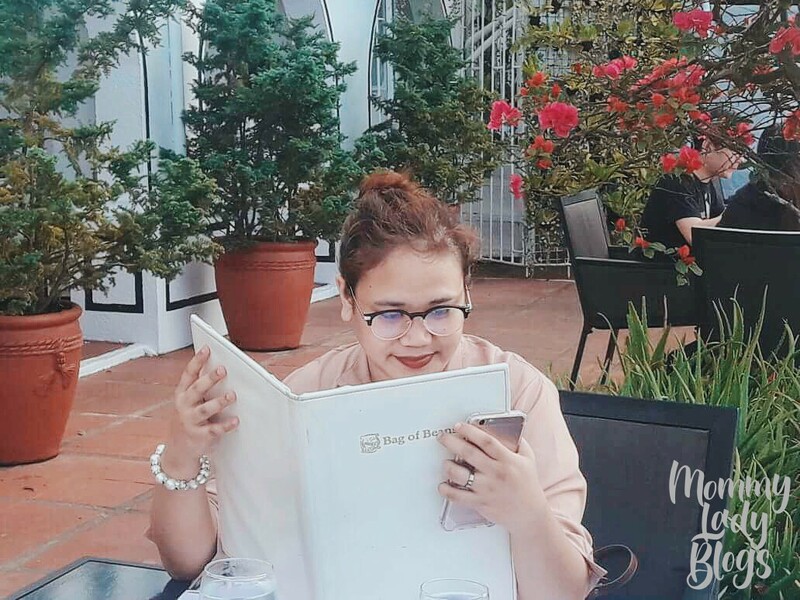 Isabelle Camacho of Mabby Makes will teach a step by step class on how to make paper flowers. She'll show you how to make different types of paper flowers along with different ways to incorporate them into your parties, events, and home! We will be supplying all the materials, which include, scissors, glue, a packet of paper, and more to take home for practice. 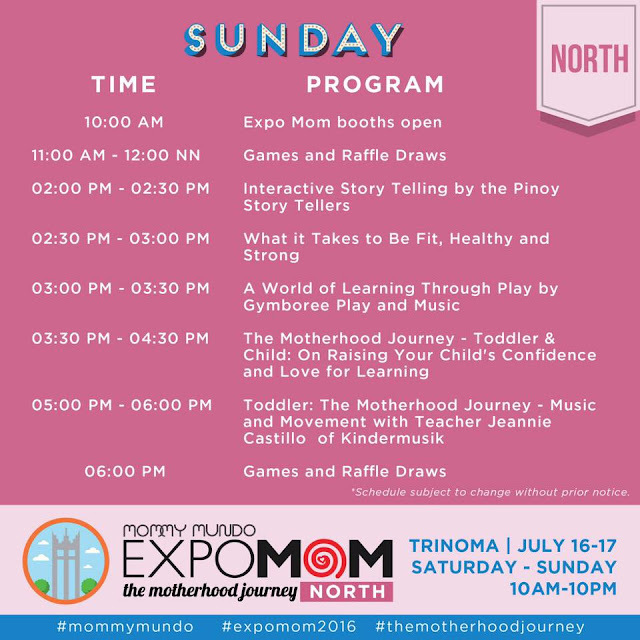 Join them on on July 23, 2:00 pm - 5:00 pm at Cath Kidston, Active Fun Bonifacio Global City Learning fee of P1850 is inclusive of materials, certificate, module and snacks! 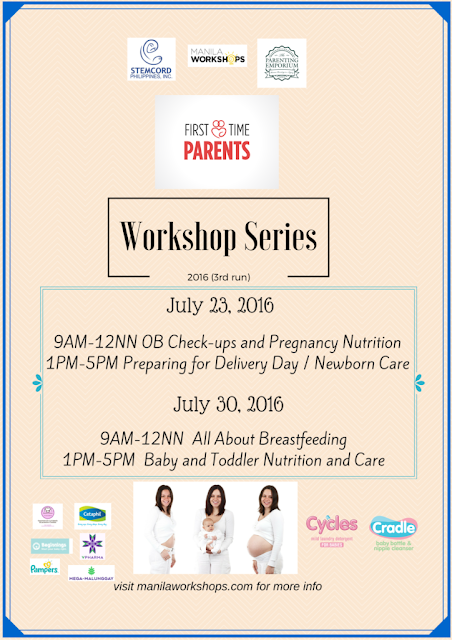 Manila Workshops, together with The Parenting Emporium, invite you to attend First Time Parents workshop series this 2016. 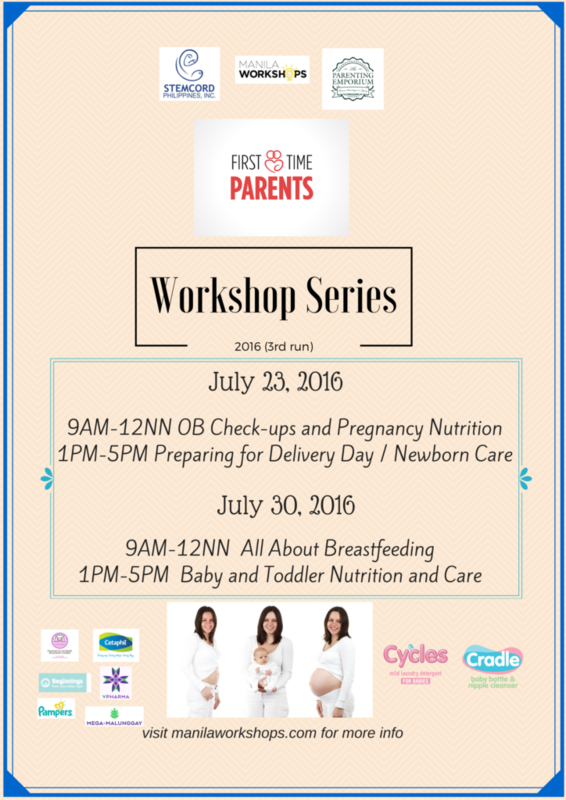 First Time Parents workshop series is one of the most successful workshop series of Manila Workshops. They have been offering this workshops since 2013. This is designed to help expectant parents to prepare for the coming of the baby. However, they also do invite singles, relatives and caregivers to attend too! 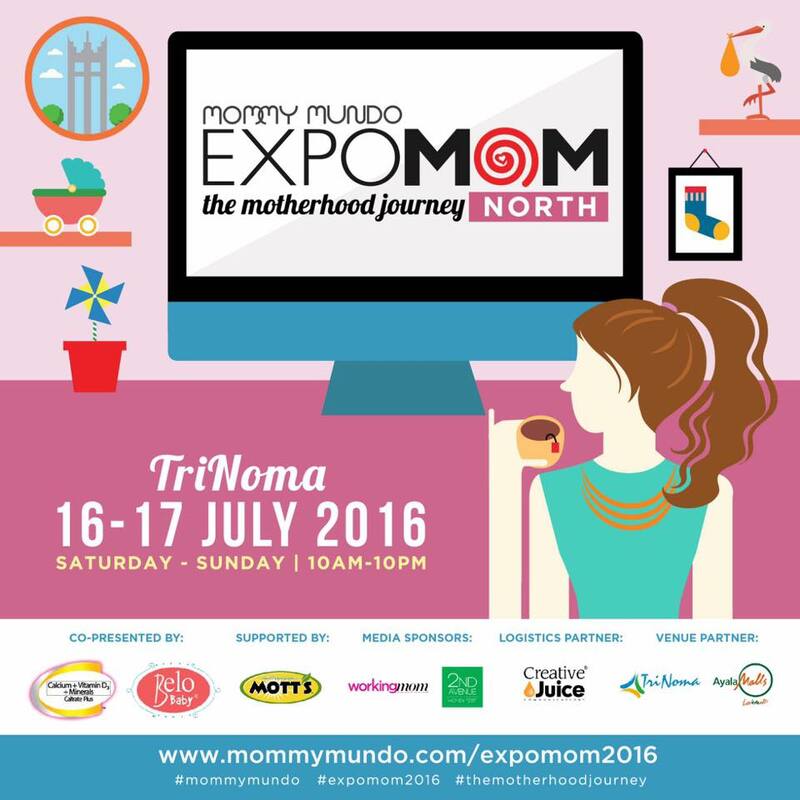 Happening on July 23, 2016 - July 30, 2016 9:00 am - 5:00 pm at 29 1st St, New Manila, Quezon City. Learn how to raise responsible and respectful kids! Attend the Parenting: The Positive Discipline Way Workshop. In this workshop, they will discuss why children misbehave and they teach various discipline tools to address and prevent misbehavior. This is one of the best investments you can make as a parent! Simply life changing. Only limited slots per session so book your tickets now! 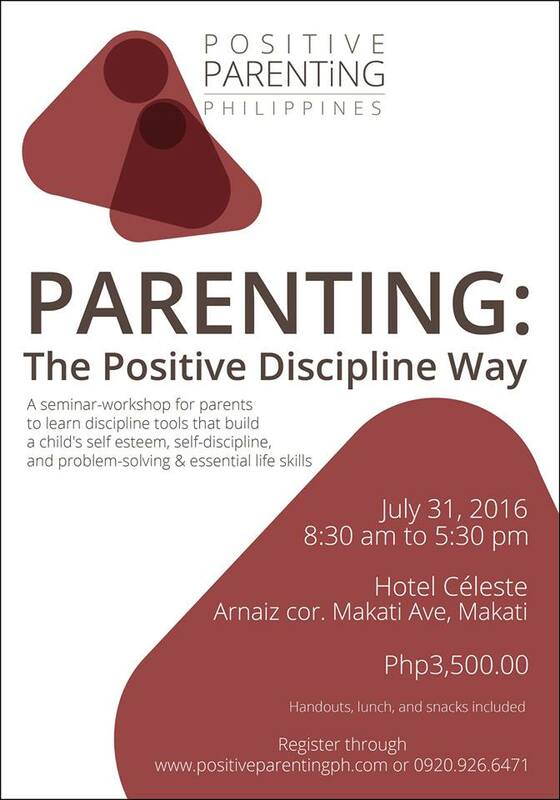 Parenting: The Positive Discipline Way is happening on July 31, 2016 8:30am to 5:30pm at Hotel Celeste San Lorenzo Dr, Makati, Metro Manila. Say Hello rain and goodbye to Mr. Sunshine! This means kids are back indoors. 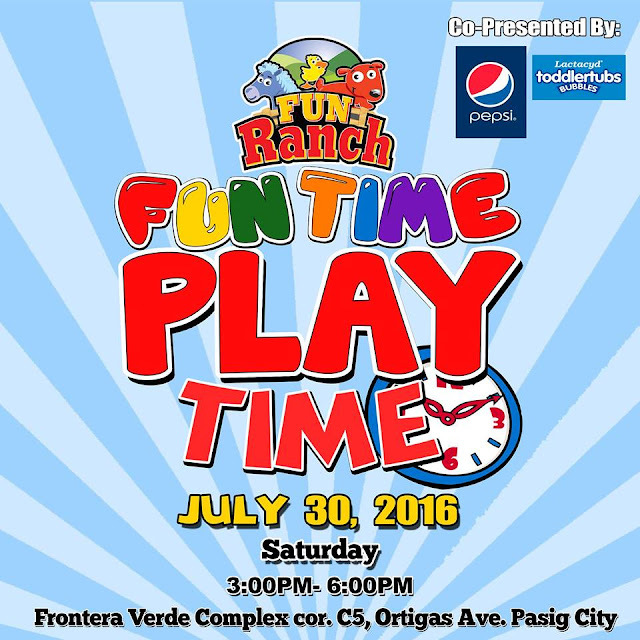 Don’t fret because Fun Ranch, with Pepsi and Lactacyd Toddler Tubs bring you, Fun Time, Playtime, a party for kids where indoor activities take center stage. Check this out! In one corner, kids will be able to watch real chefs prepare food they can cook at home. There will also be board games to enjoy and learn from, and future Picassos will get to play with colors in the art corner. 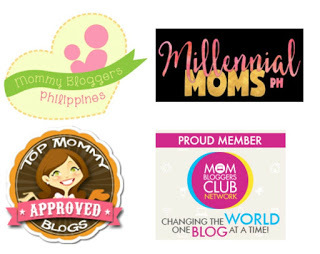 These and tons of other activities await you if you party with us! Fun Time, Playtime Party will be held on Saturday, July 30, 2016 from 3:00 p.m. to 6:00 p.m. at the Great Big Room of Fun Ranch, Ortigas. 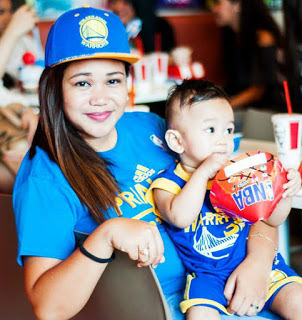 Ticket prices are Php400/child inclusive of one hour play at our newly renovated Playdium with snacks, loot bags and other treats; Php250/adult inclusive of snacks and access to all fun activities. Limited slots only, so buy your tickets early! It's the last weekend of Arts in Public Spaces at the Rizal Park. 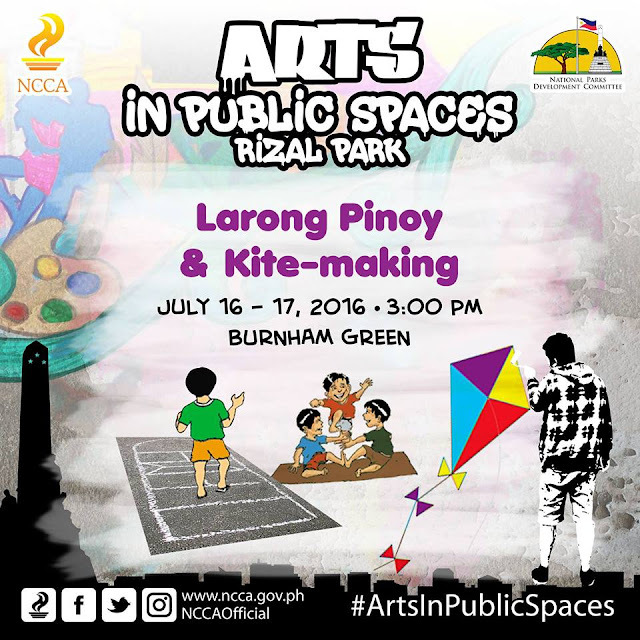 Join them for an afternoon of fun and games in the "Larong Pinoy & Kite Making Workshop" at the Burnham Green on July 16 and 17. Admission is free. There are like sooo many events this weekend alone! I'll be going to an event in Katipunan and then Gloriettea plus there's one in Megamall haha. Wow, so many events for parents and kids this month. I should also share this to my friends. Thank you! Maggie is my friend, and I'm sooooo proud of her!!! She's incredibly good at decorating her cookies!!! I've also tasted her concoction and they're as yummy as they look! Love what you did collecting all these events. I'd like the cookie decorating a lot! 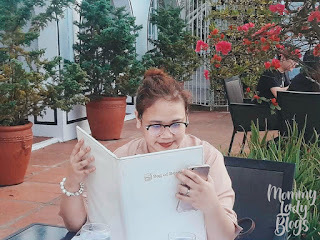 This is one of the things that I love about blogging, you get access to worshops and be able to attend those that you want to attend. So many great events to look forward too! I'm interested in the breastfeeding one since I'm about to give birth to our new baby in a couple of months. I'm interested in the parenting workshop about discipline. I find the fee a bit high, though. I live near Trinoma. Sayang, I wasn't able to attend this one.